Hula me this... Wordless Wednesday! Elsa and Anna Tea Party!! Yesterday's adventure was a trip to a local party place called La Te Da Party Palace in Thibodaux, LA. It was intended to be a Queen Elsa Tea Easter party, but it booked so quickly that the owner added another party on the Monday after Easter. I was lucky enough to get two spots for Valerie and Veronica! One of the things we skipped at Disney World was the Anna and Elsa meet and greet. The wait was 5+ hours (eeek!) and as much as we wanted to meet them, there was just no way we were going to wait in line that long. 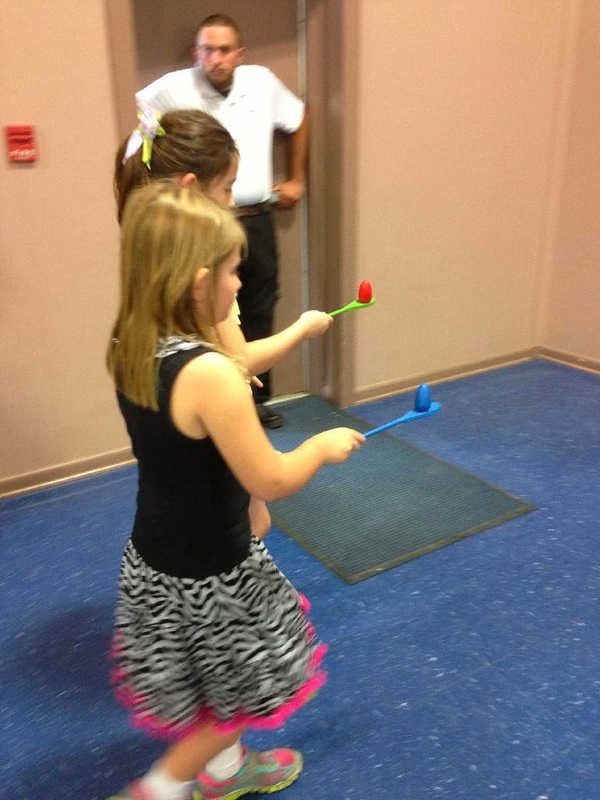 This was just a perfect opportunity for a little princess fun locally. I have to say it was fabulous!!! It was so well put together and beautifully decorated. They really went all out in creating the costumes and icy castle backdrop. 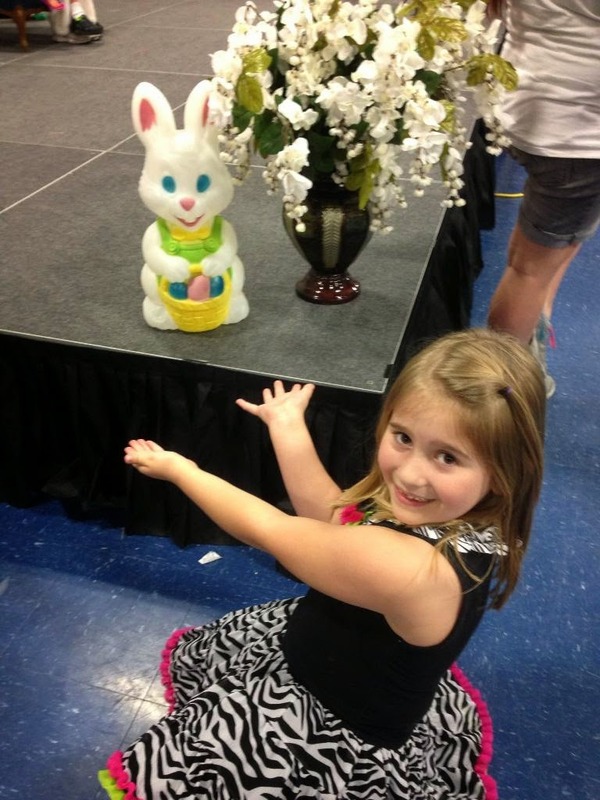 All the girls received Easter baskets, which the princesses helped them decorate. After everyone was done with baskets and taking pictures, we walked down to their other (bigger) building for the show. They put on an awesome show for the kids, complete with snow machines!! Singing, dancing, treats.... The tea party was so fun and everyone got to build a snowman - Olaf cupcakes!! I'm so glad we were able to go. I'm still battling whatever sickness this is: Bronchitis turned sinus infection/whatever. Easter Saturday was okay. The girls had friends over and we made a bunny cake together. Easter Sunday I felt just awful. Relapse?? As in wanting to spend the day in bed awful! Unfortunately that wasn't exactly an option. Valerie and Veronica popped out of bed at 6:22am in awe of what the Easter Bunny had brought. These are such fun times.... I wish they'd never end. Clint barbecued for Easter dinner. I made my Dad's favorite - lemon meringue pie. Some friends came by in the afternoon, which I was very grateful to have company on a holiday!! Usually it is just the four of us sitting around. At the same time, I wished to be laying in bed. My head felt so stuffy that I couldn't think straight and just sitting upright was challenging. I would have gone to urgent care again after our company left, but I felt just too awful to drive and I never would have made it in time since they closed at 6:00. Instead I took a long steamy shower and went to bed!! This morning I awoke feeling somewhat better. Hopefully I'm on the mend. I also had a follow up at the vein center for the procedure on my leg today... It was what I expected and not exactly what I wanted to hear. I'll update the ongoing saga when I have a chance.. In 1977? my Mom decorated an Easter basket for me to bring to Morgan City's annual Easter Egg hunt. I won second place for prettiest basket!! To top that.... we made the front page of The Daily Reivew newspaper that year. 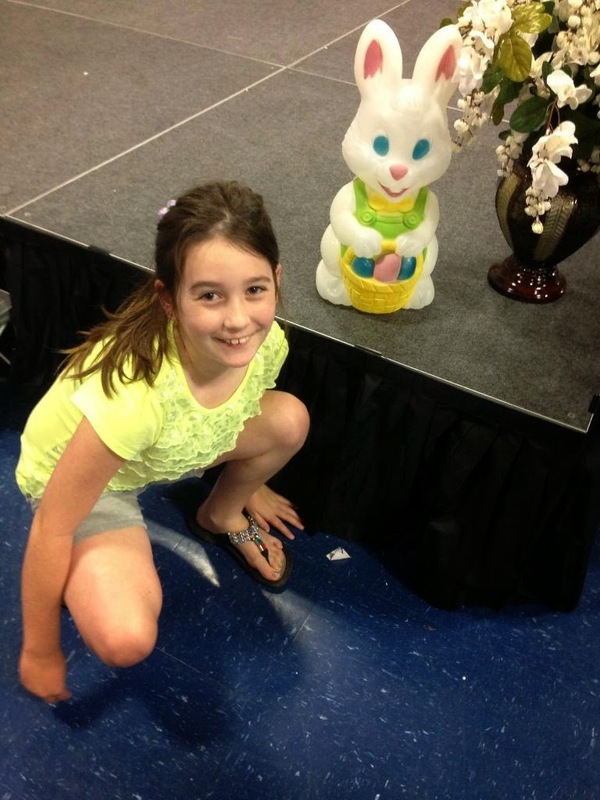 Every spring, the Bayou Blue Recreation center hosts an Easter celebration for kids twelve and under. It's free, so it isn't too fancy, but it's something to do. The Easter Bunny is there and you get a free picture with him. After the picture, they give each child a basket or bucket of goodies. There are games, crafts, door prizes galore, and snacks. After everything is done inside, there is a big Easter Egg hunt outside. Like I said it isn't fancy, but it is usually nice enough and worth going to. This past Saturday we arrived just before it started. Once we got inside, the girls went straight to the craft table. By the time they got to the table, one of the crafts was already out. That was ok because there were others. After picture time, they each got a plastic bucket with the tiniest chocolate bunny in it. That was it. Last year they had kites, candy, a coloring book.... That's ok because it's free and they didn't need that stuff anyway. And there was still the egg hunt to look forward to. 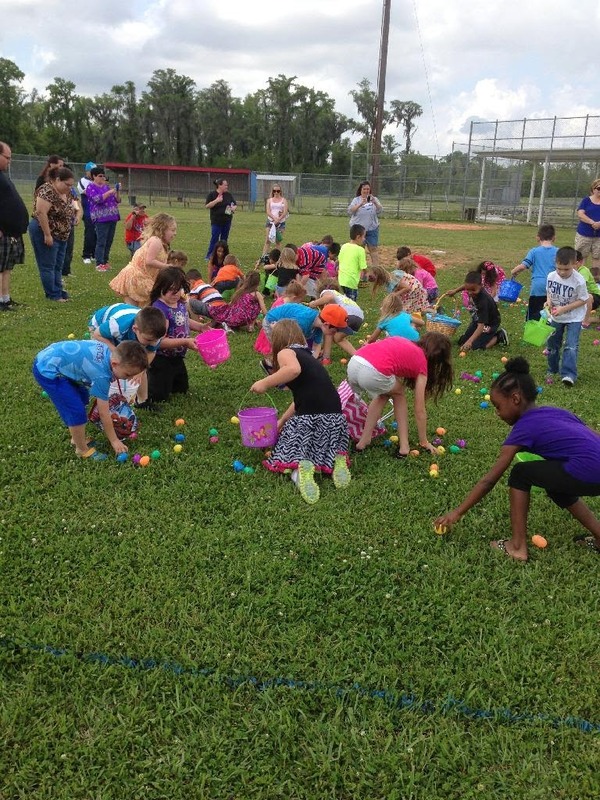 Everyone began to head outside to wait for the egg hunt. 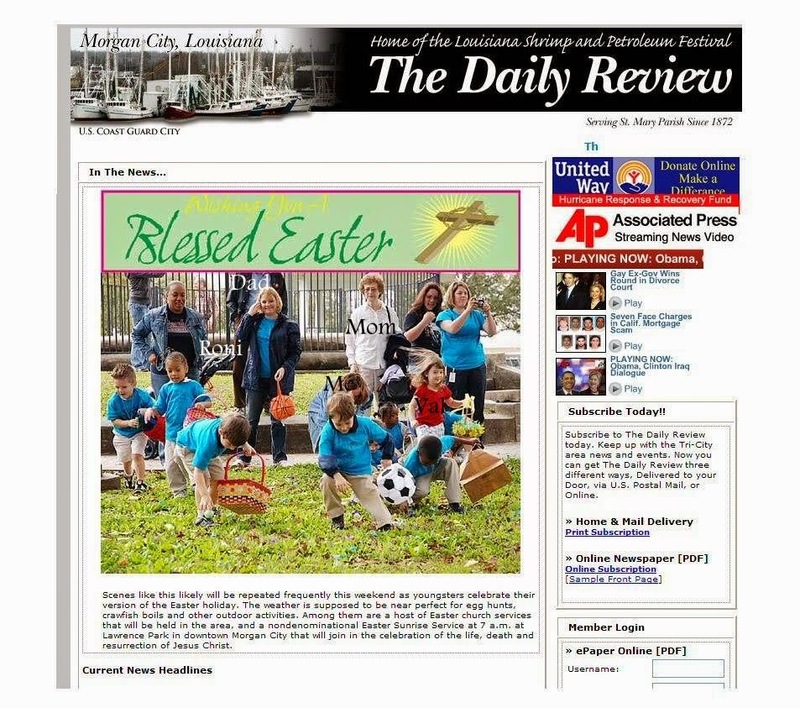 The kids excitedly watched as the director dumped boxes and boxes of colorful plastic eggs all over the baseball field. It was A LOT of eggs!!! They divided the kids into age groups. Valerie was with the big kids, so she went by herself. I stayed with Veronica. All those little kids were eyeing those eggs and just bursting for someone to say GO!! It was announced there were seven prize eggs. Seven eggs with a piece of paper in it that said PRIZE. GO!! 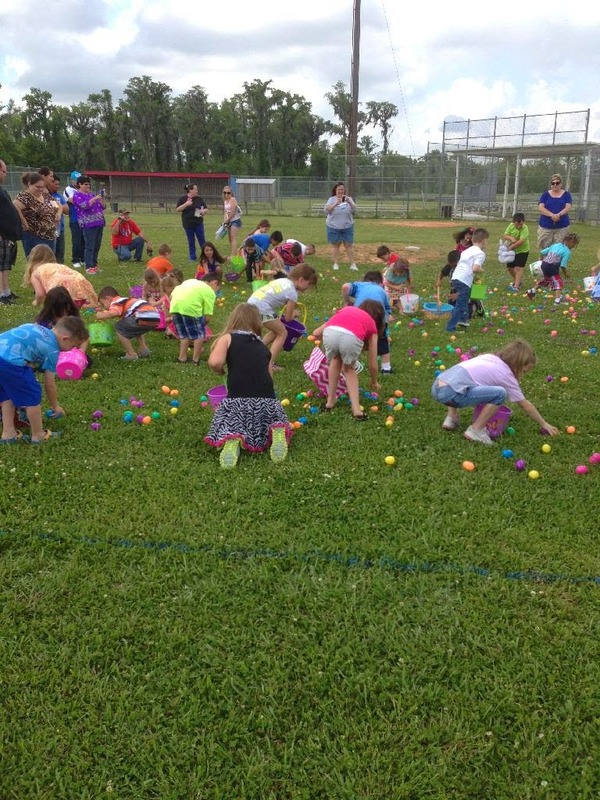 And all the kids dashed off to grab as many eggs as they could. Veronica filled her bucket. 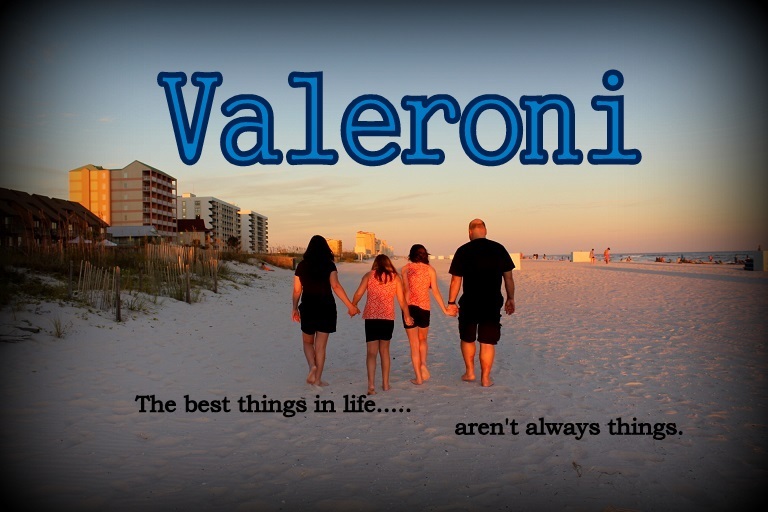 Valerie did too! Oh boy! In a flash, the grass was solid green again. Veronica came running to me and we began to look to see if she had a prize egg. But... there was something very wrong. Valerie came over and noticed right away that something was wrong. All the eggs were empty. Huh? No gum. No icky marshmallow bunnies. No melted chocolate. No jelly beans. Nothing at all. "I GOT NOTHING!!!! NOTHING AT ALL!!! JERKS!!!" Valerie began to yell as she opened empty egg after empty egg and threw them to the side. People were starting to stare she was being so loud, so I had to tell her to quiet down a bit. And I hear tearful wails all around me from little kids who are discovering the same. I can only assume that it was money issues, but they could have cut back on the door prizes and put SOMETHING in the eggs. There were 25 Easter basket prizes just in the eggs alone... why not cut some of that back and fill the eggs or some of the eggs so that everyone gets something?? 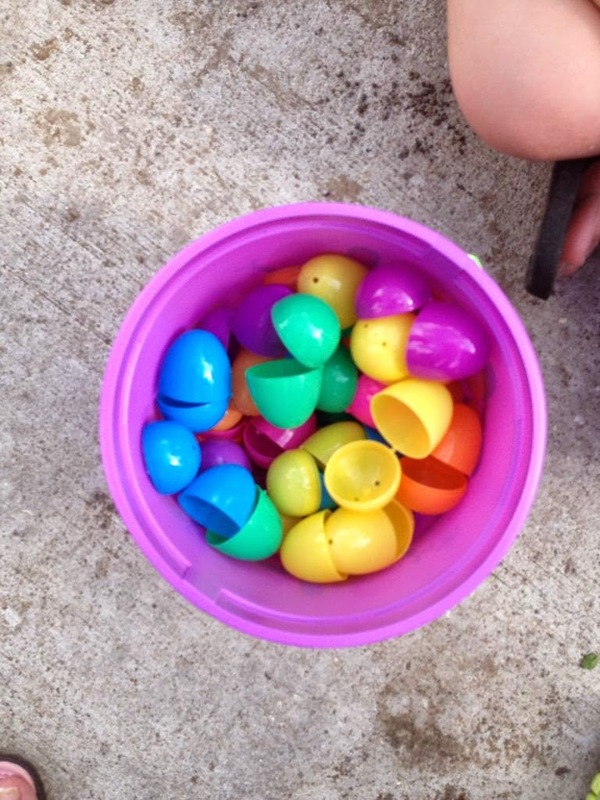 WHO on earth organizes an Easter Egg hunt for small children with empty eggs? Jerks I tell ya.